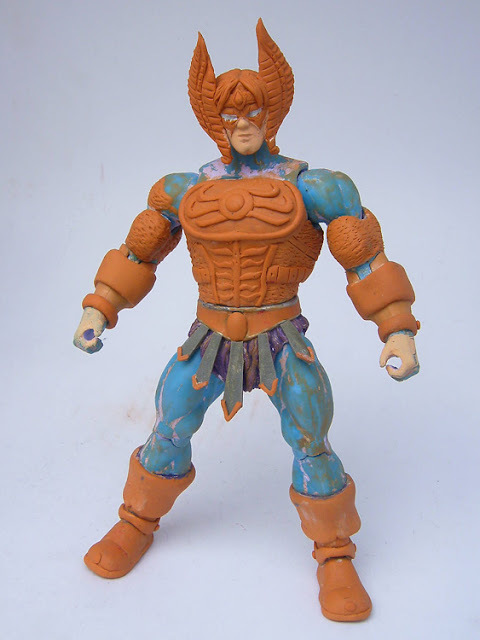 Crag was a mutant from the Savage Land, that was trained by Vindicator (Heather Hudson). Laura Dean aka Pathway is a canadian mutant with the ability to open portals to anywhere. 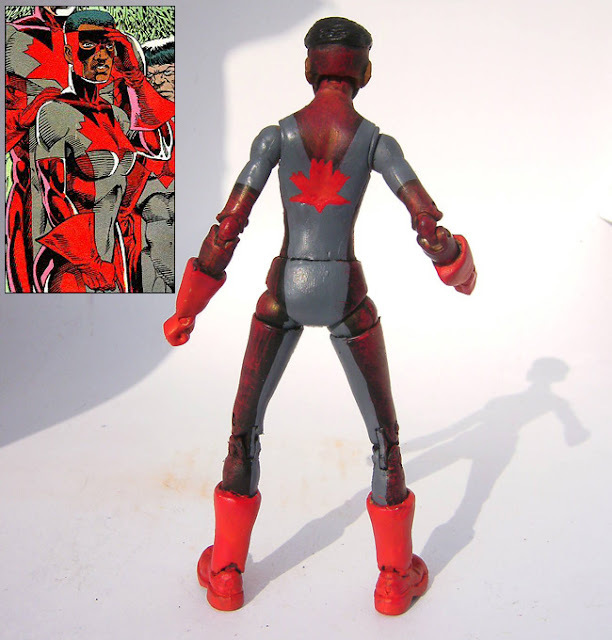 Member of Beta and Alpha Flight. Heimdall is the norse god that protects the rainbow bridge between Asgard and the normal world. Here is Zaran, master of arms. 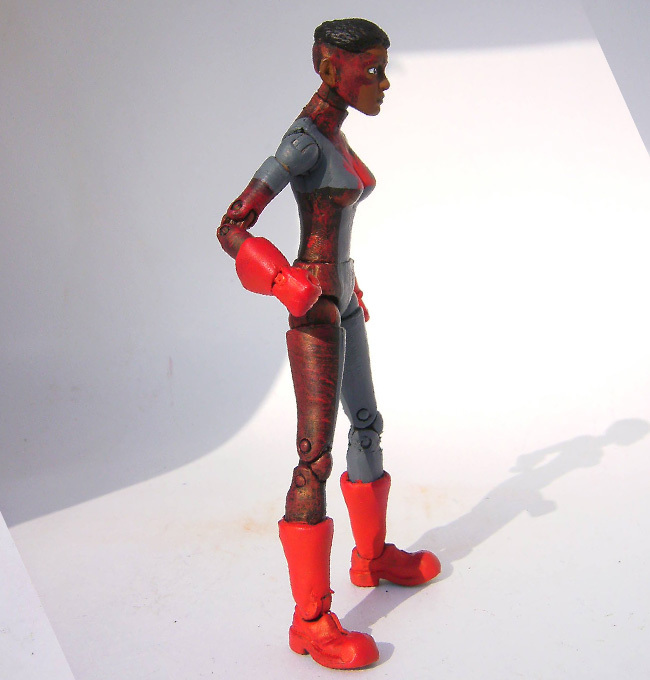 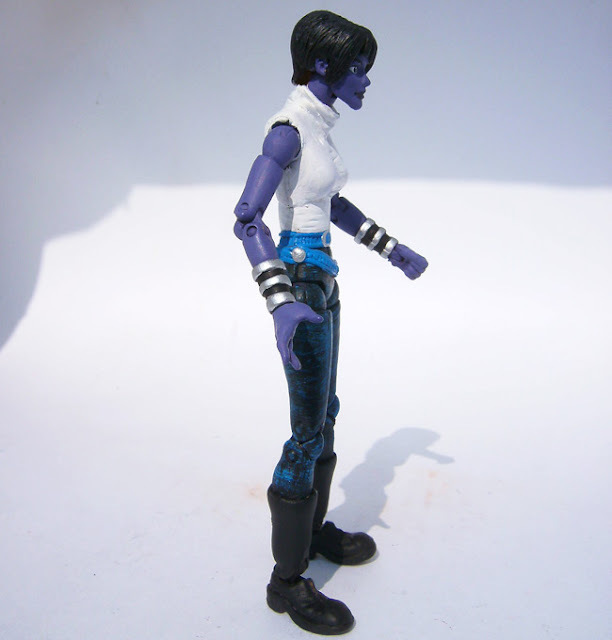 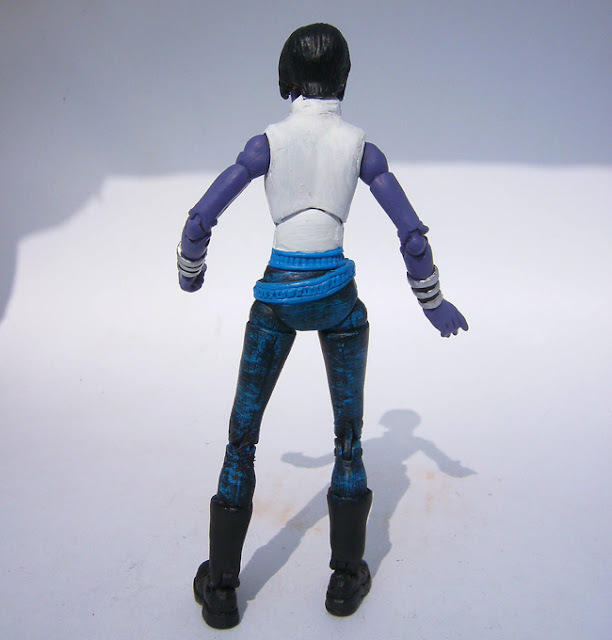 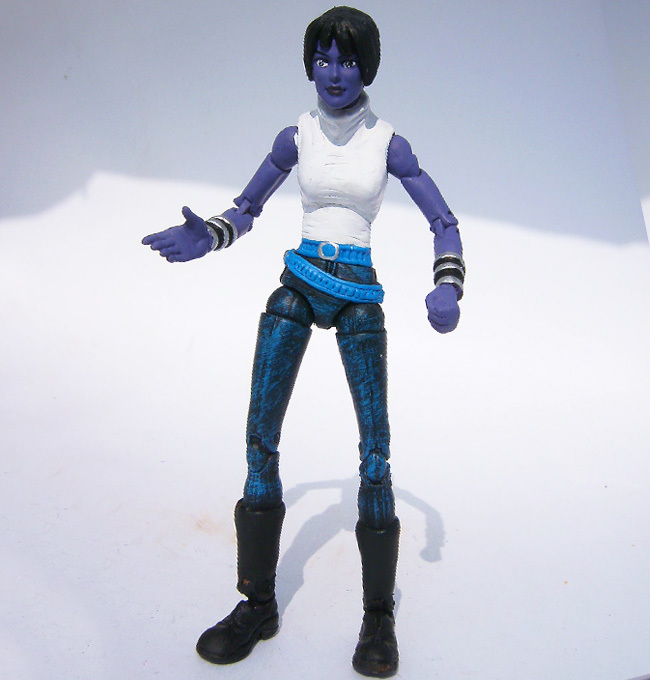 Here is Purple Girl, daughter of the Purple Man, as in her first appearance in Alpha Flight comics. 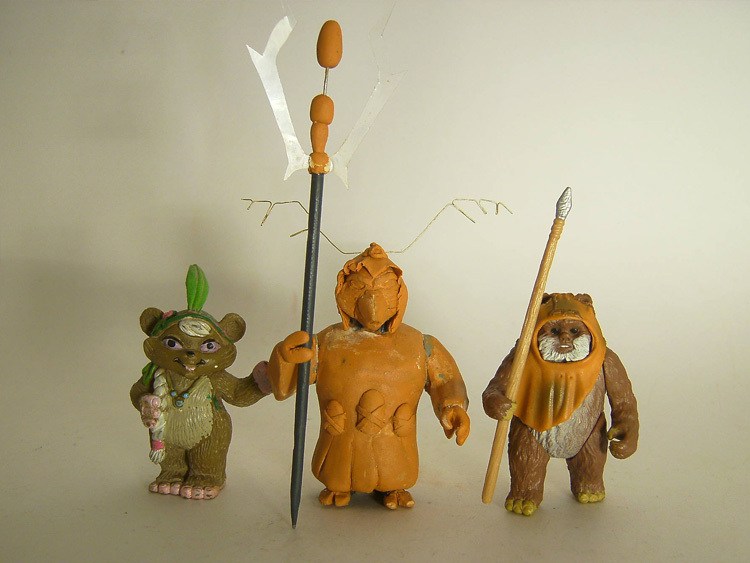 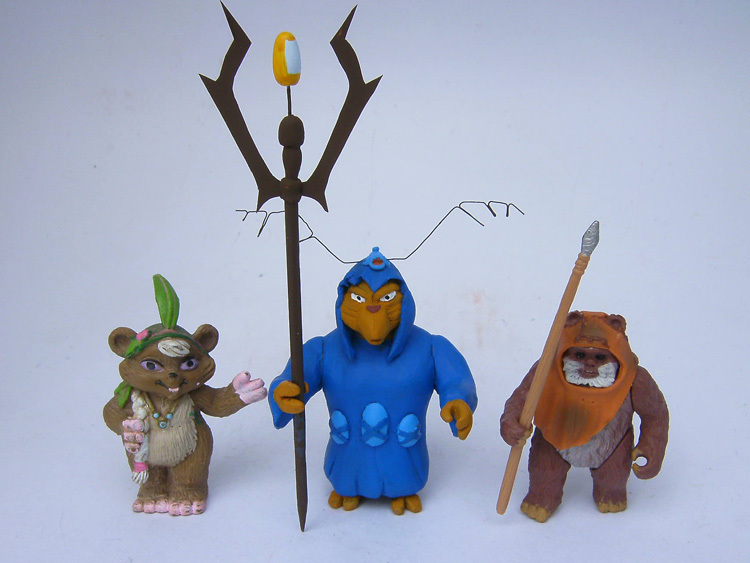 This is Morag, evil witch that appeared in the 80s "Ewoks" Star Wars cartoon. 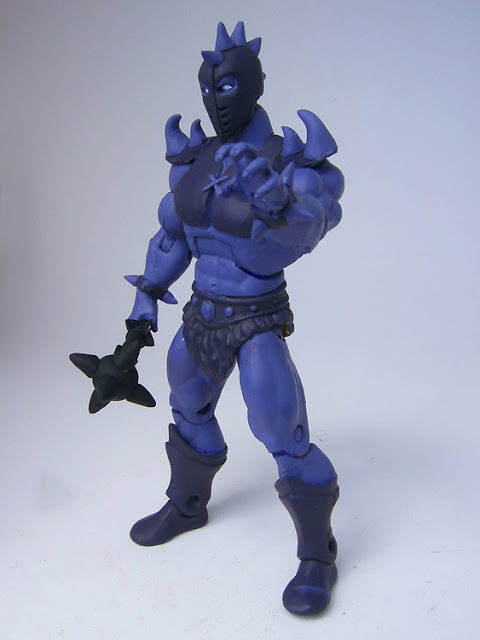 Staghorn is a evil mutant henchman of Skeletor in the New Adventures of He-Man tv cartoon. 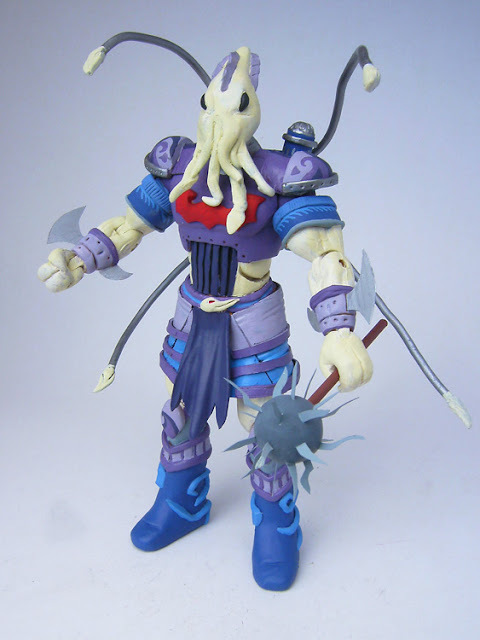 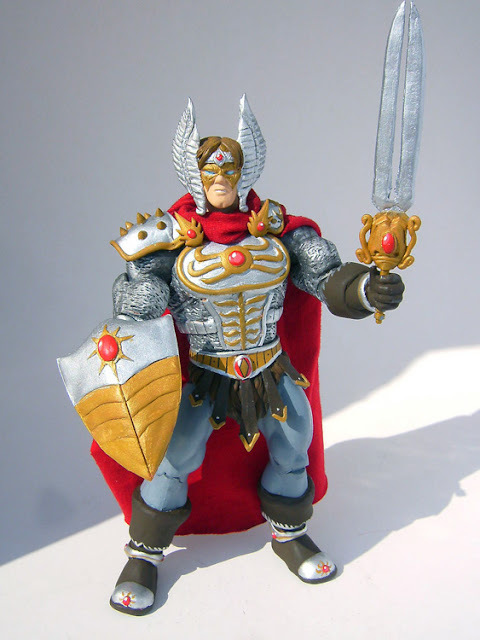 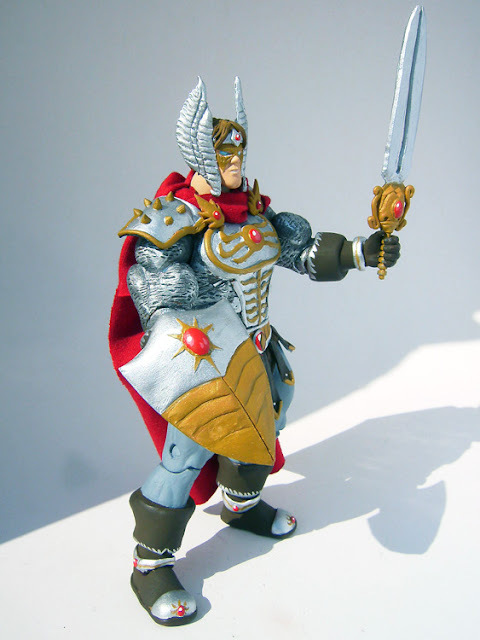 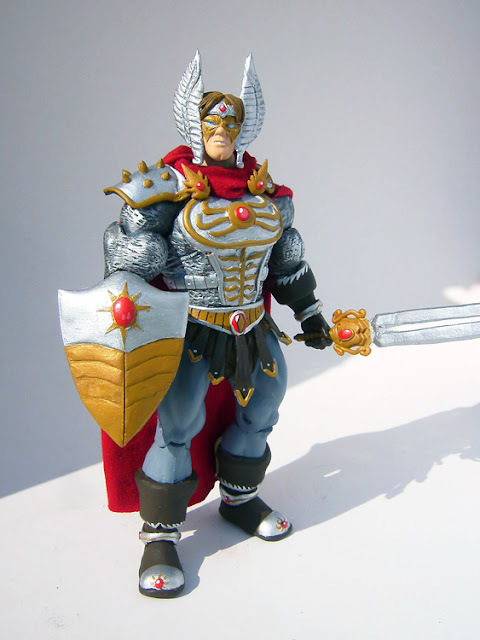 Skaldor is a fanart character made by Patreek, that I have given him life in a MOTUC style. 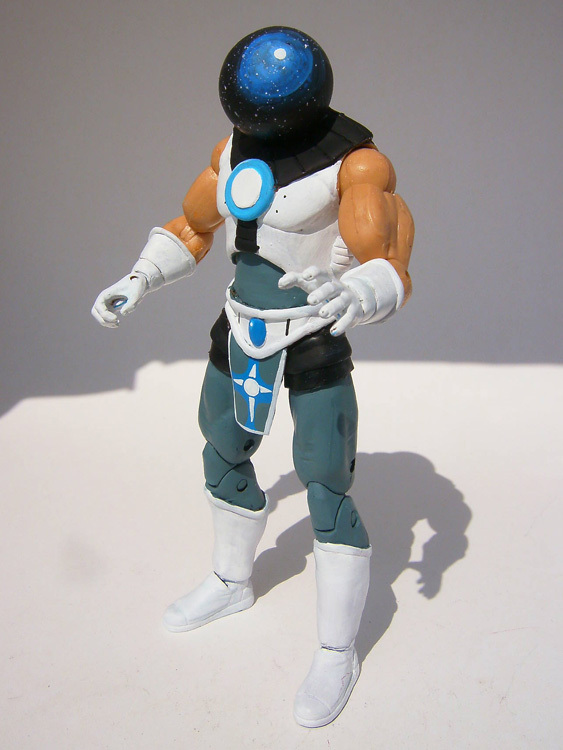 Last pic is a photoshop mock-up of the electric version. 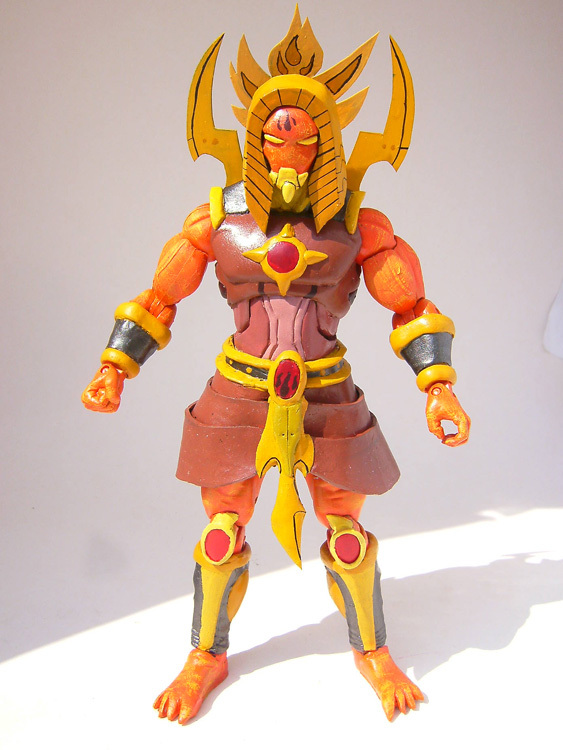 This is General Cheops, commander of the forces of the Heliopolis God Seth. 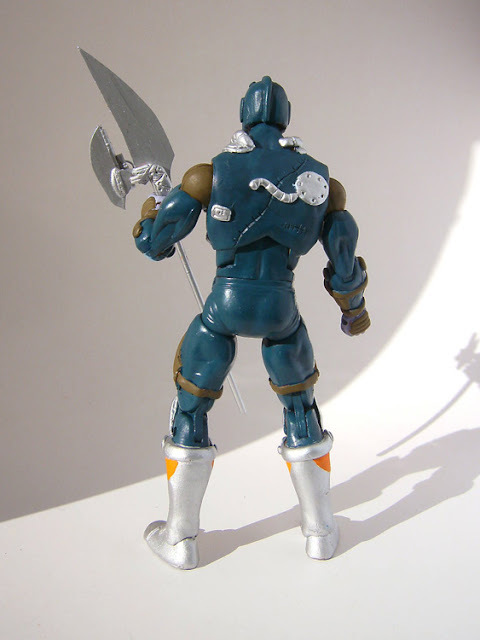 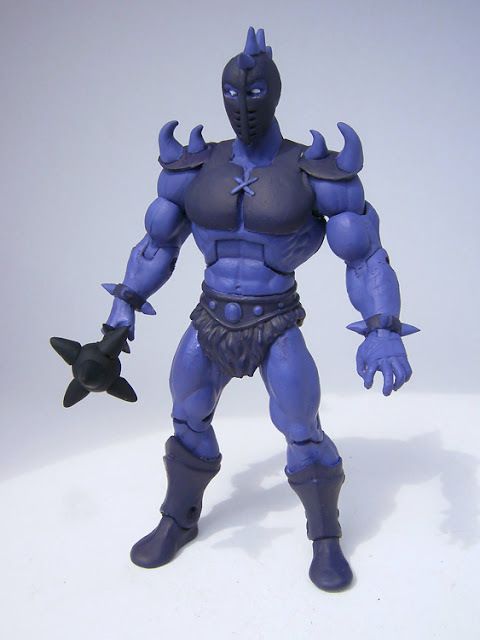 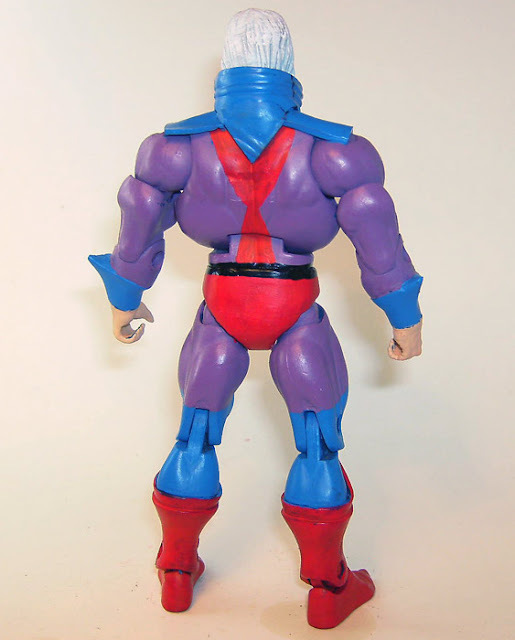 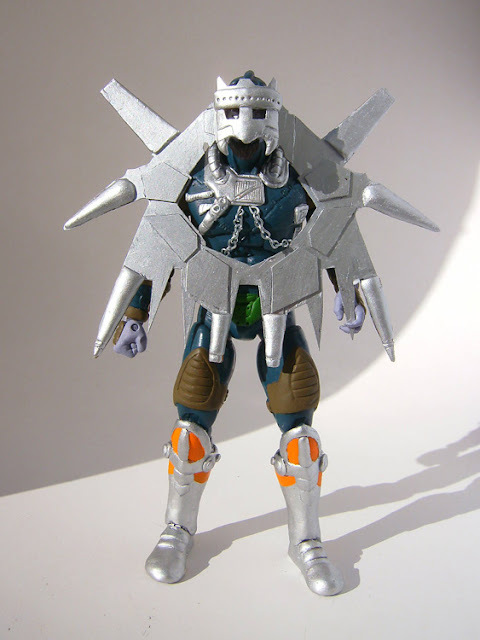 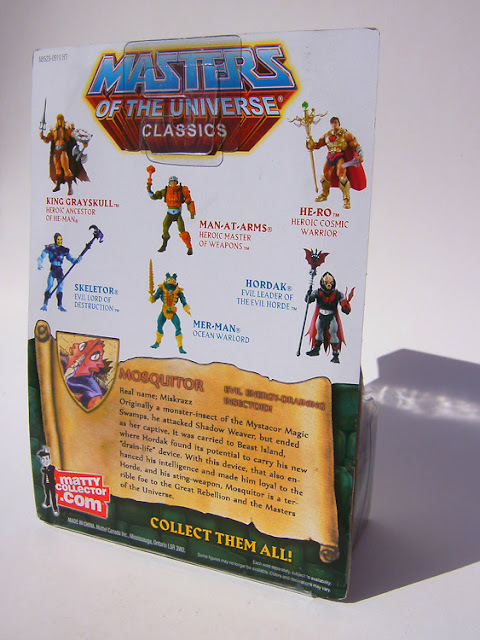 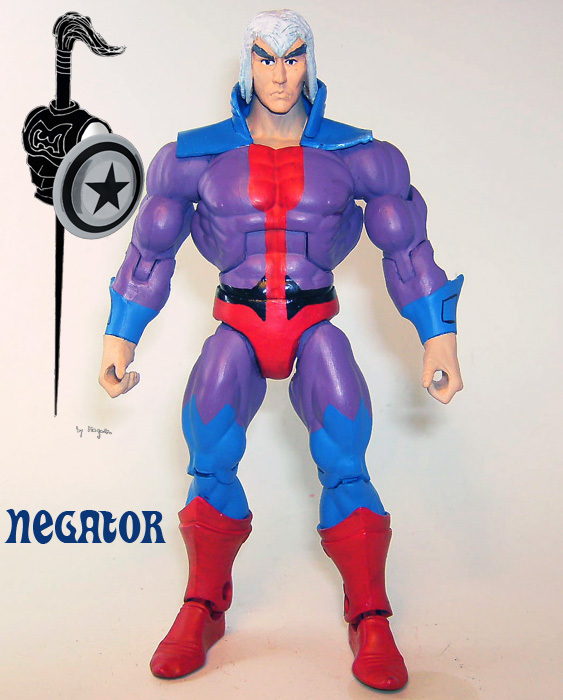 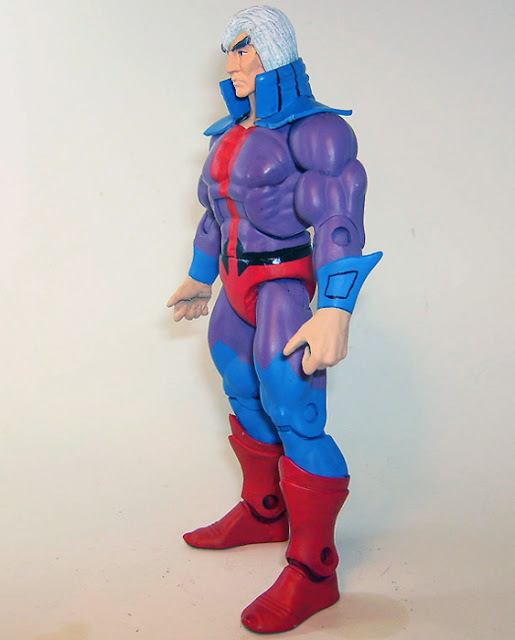 Here is Negator, a villain that appeared in the Filmation Masters of the Universe series. 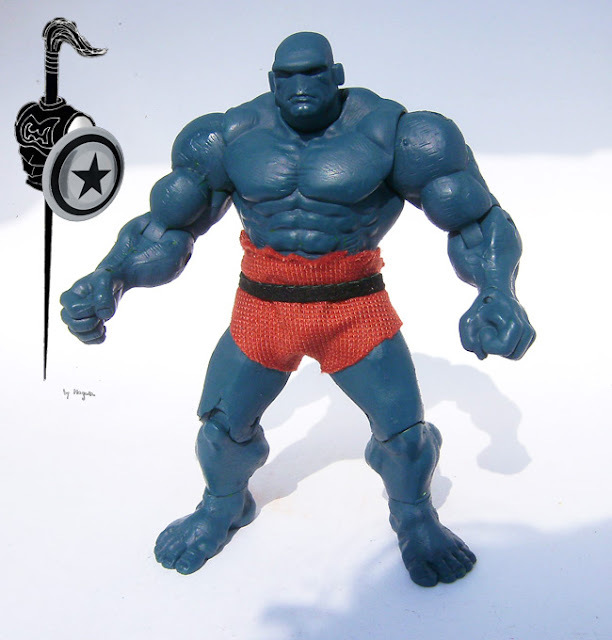 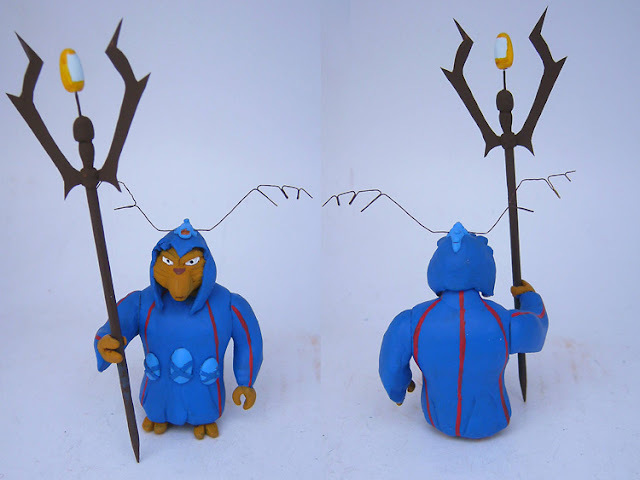 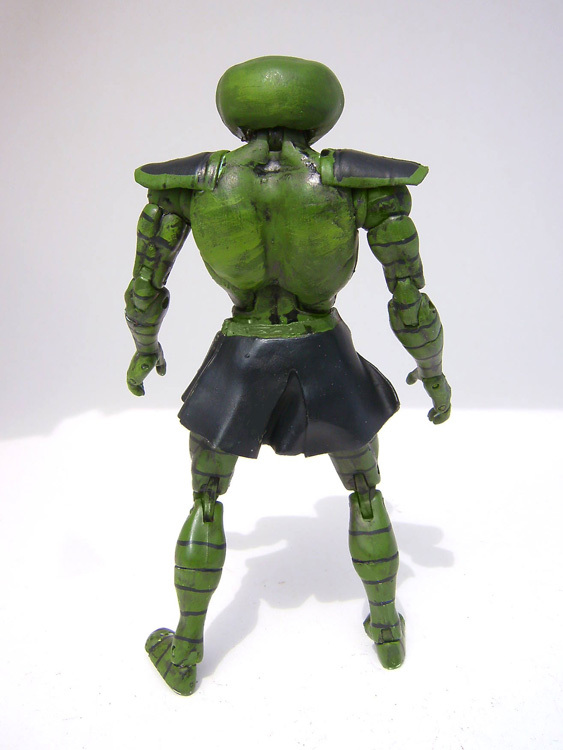 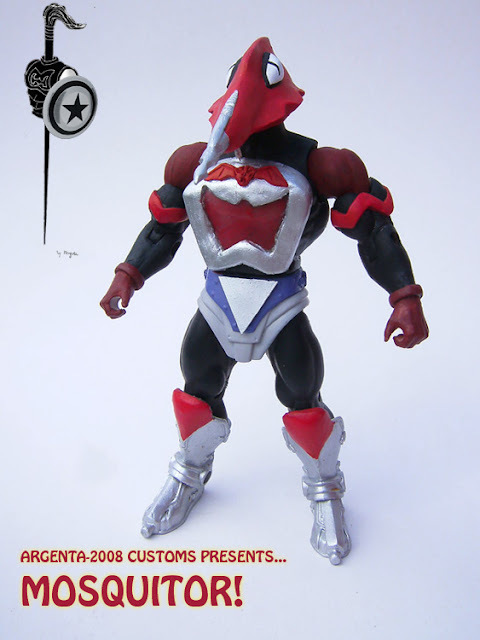 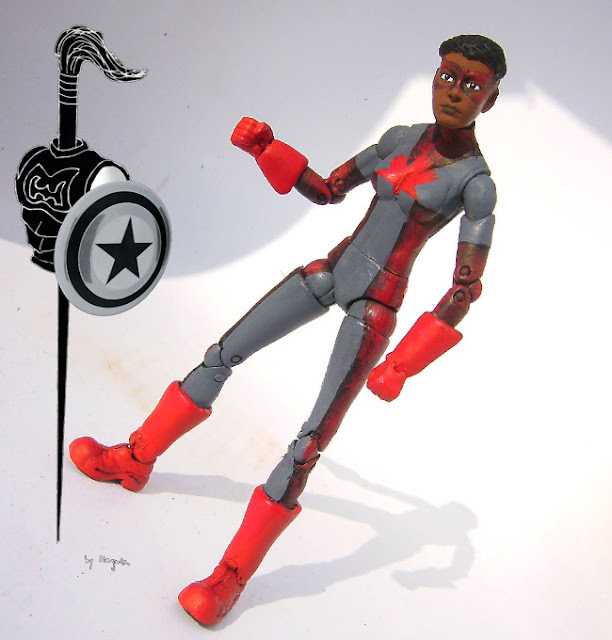 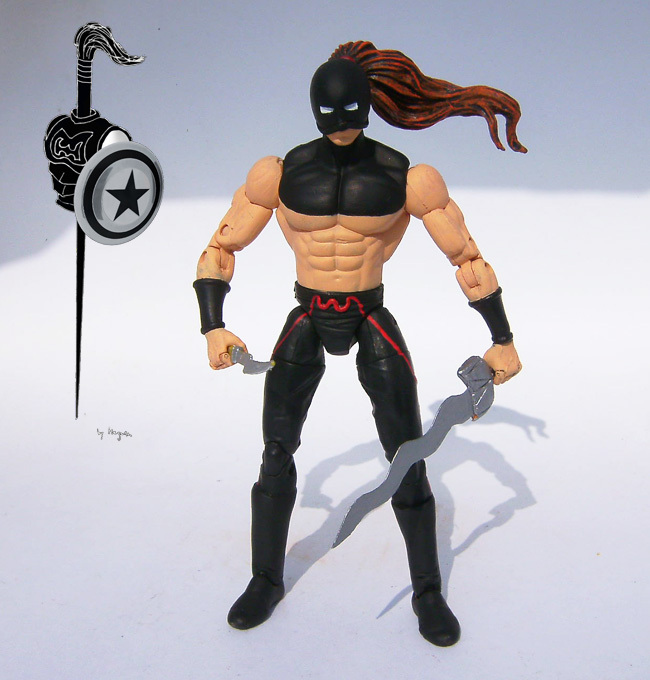 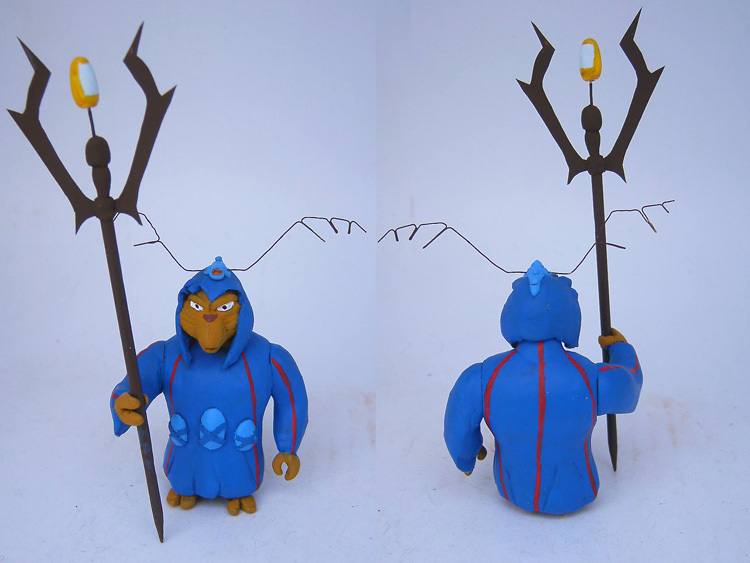 This is Astroman, a custom based on IceMan's great fanart. Firearms is a character made by Gbagok. 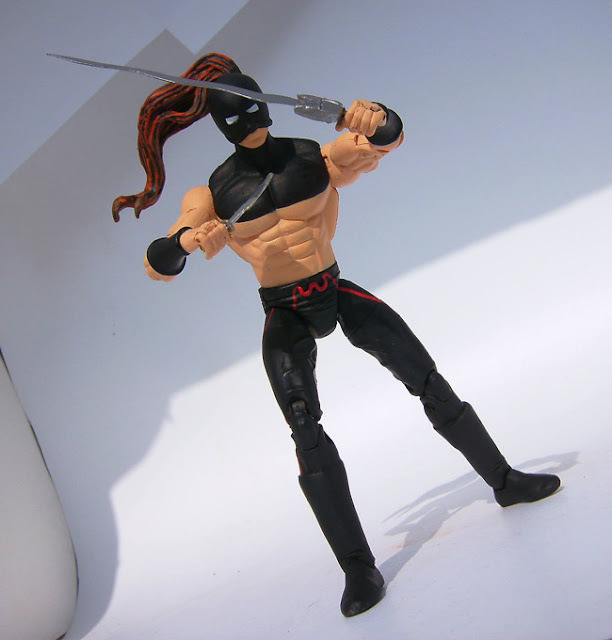 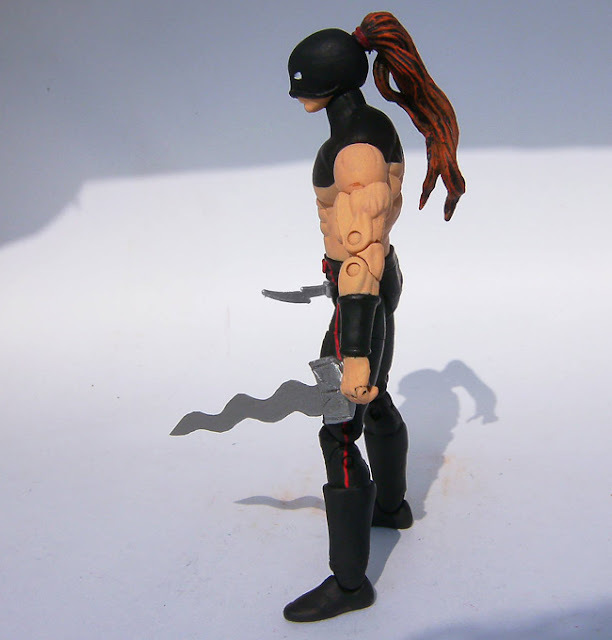 Made over a Wrestling deluxe figure. 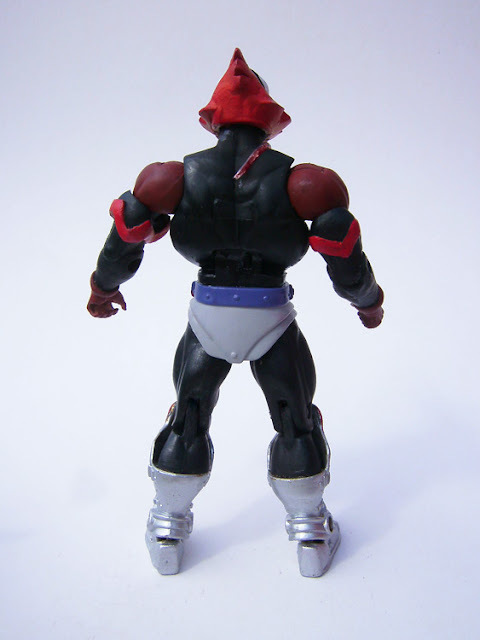 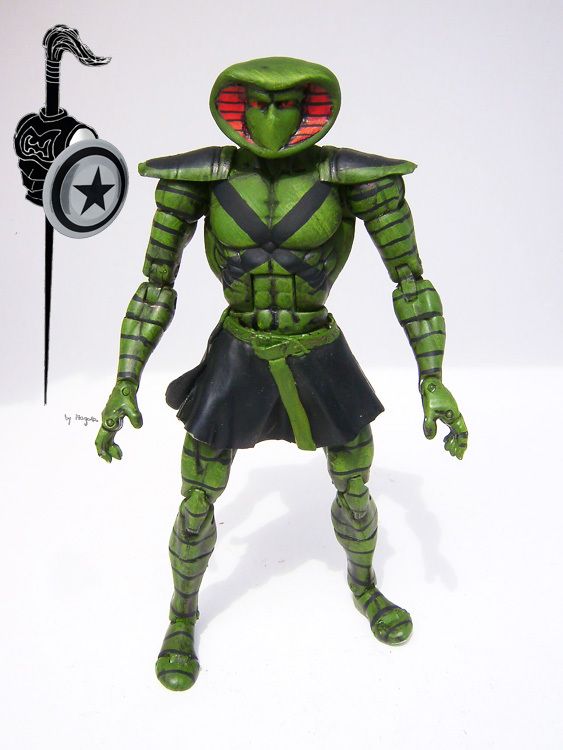 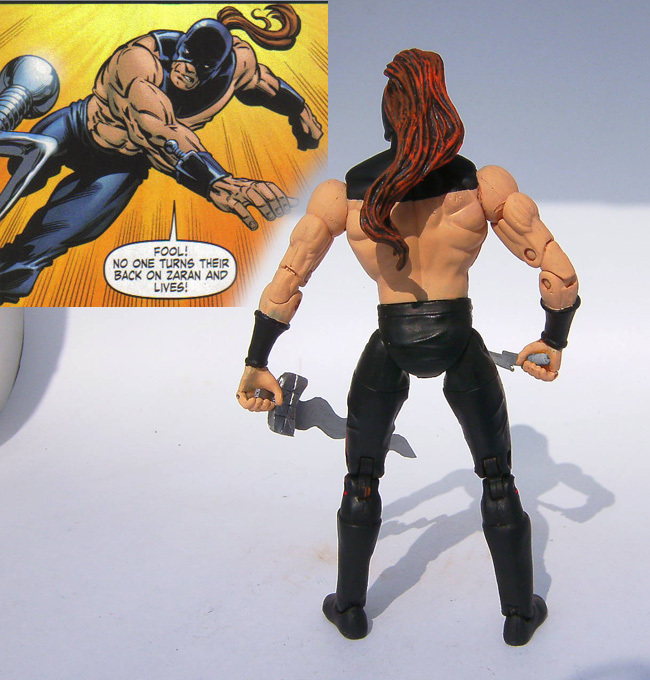 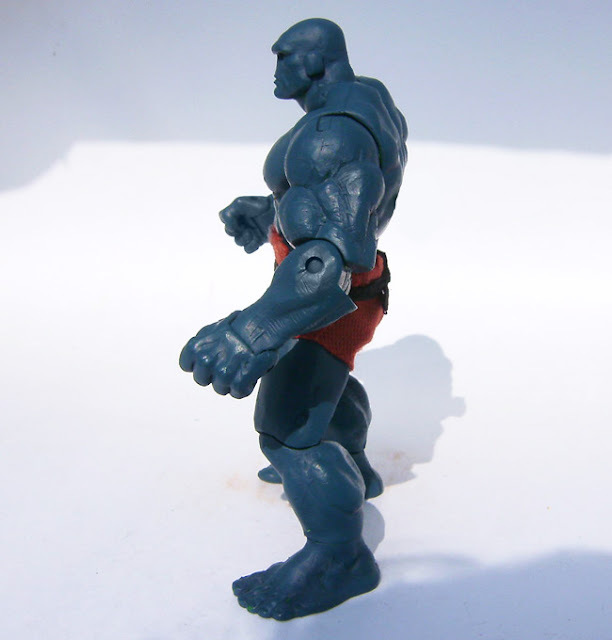 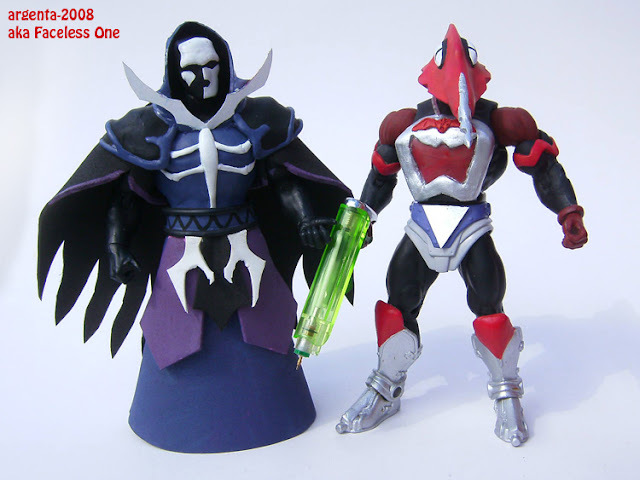 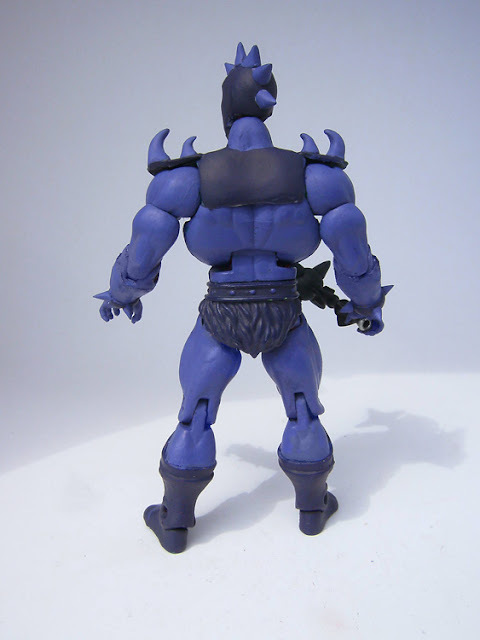 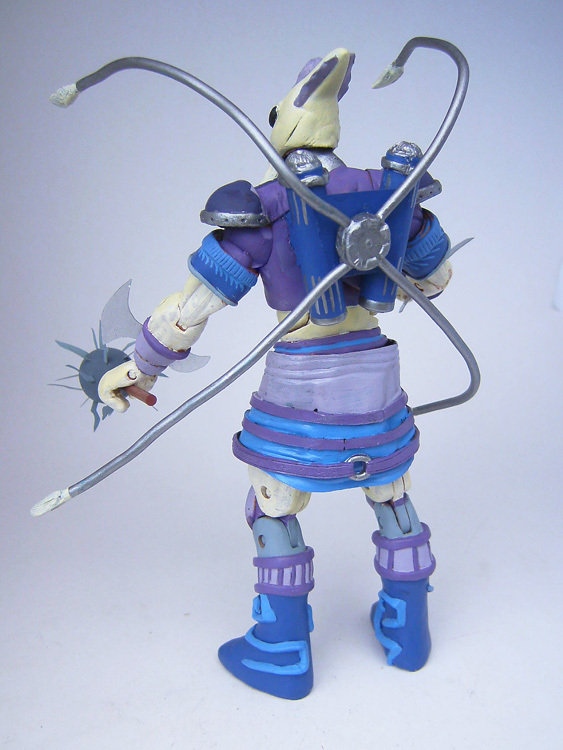 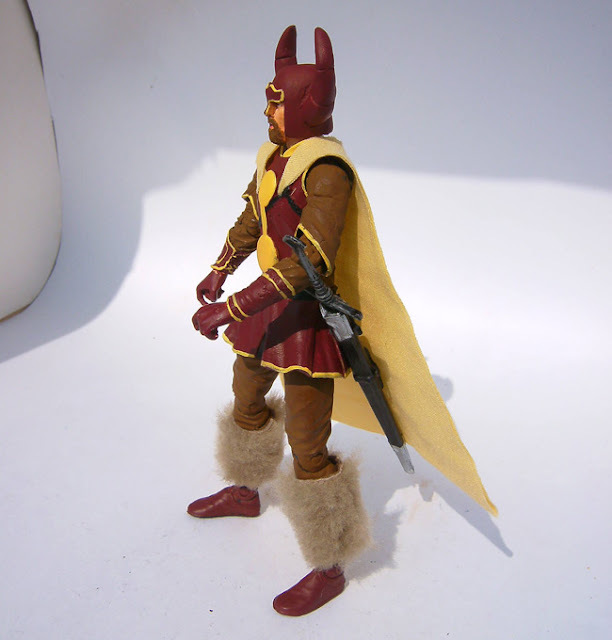 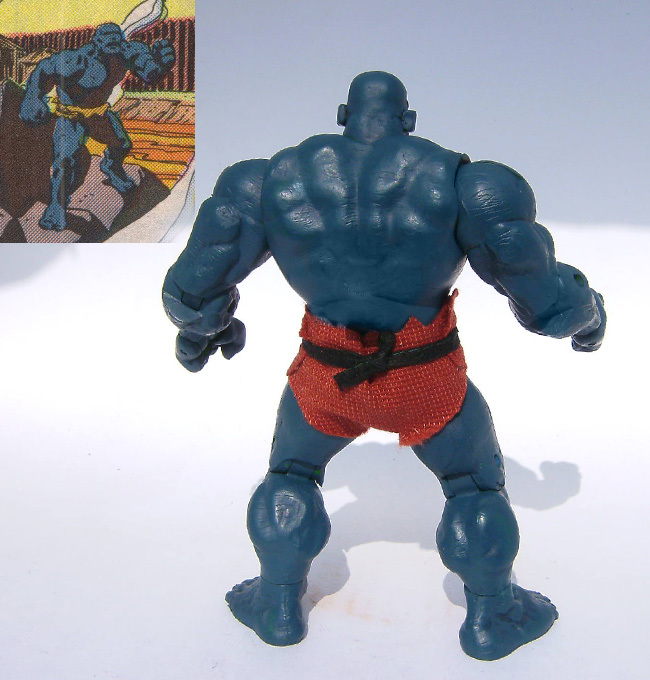 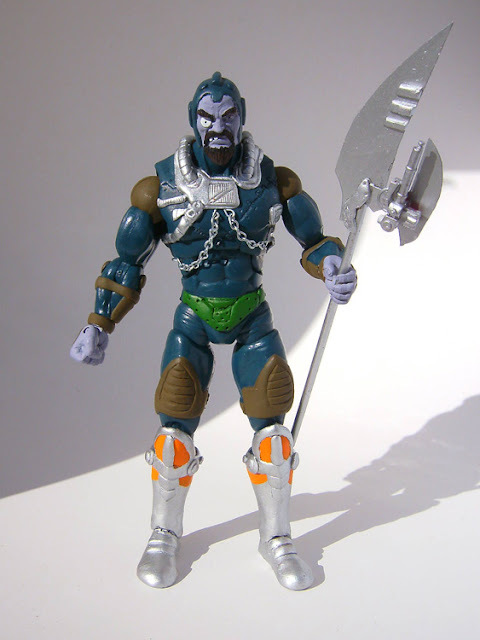 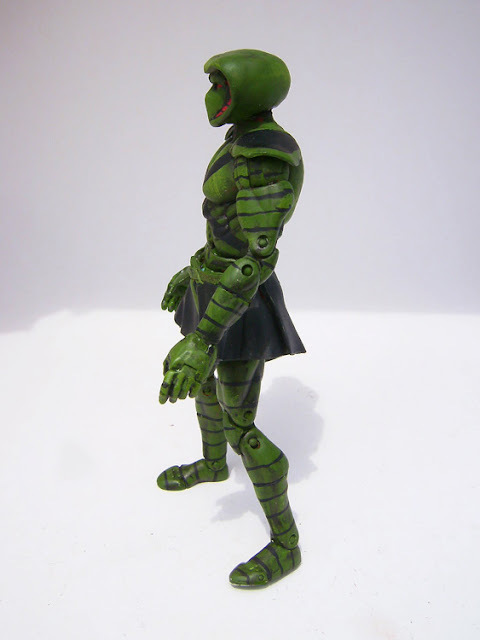 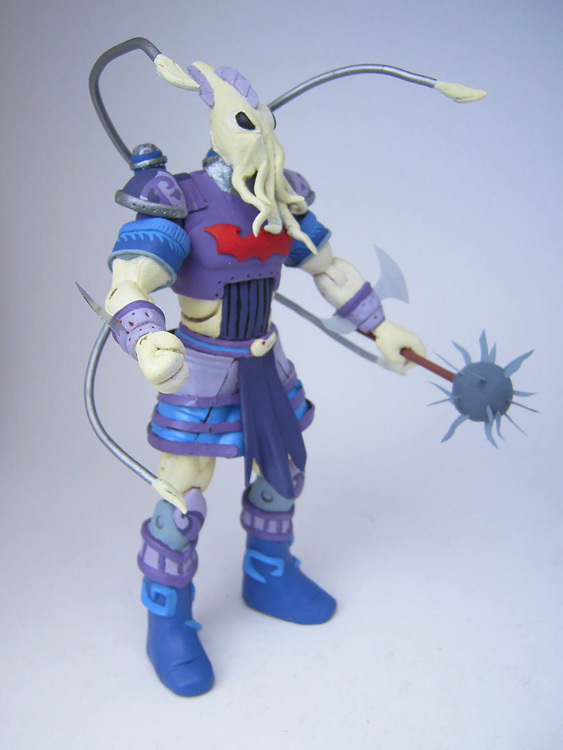 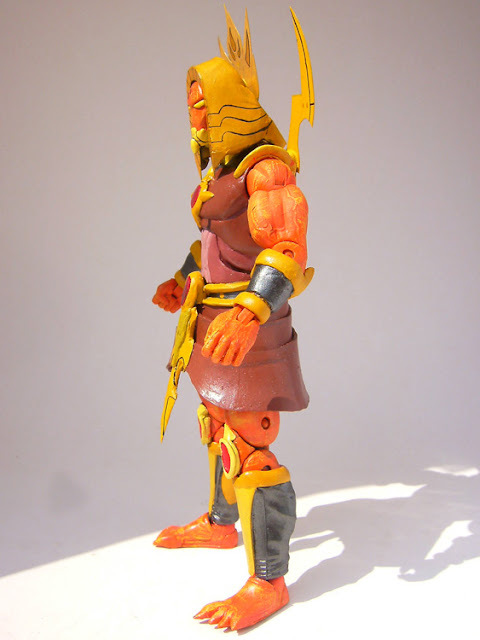 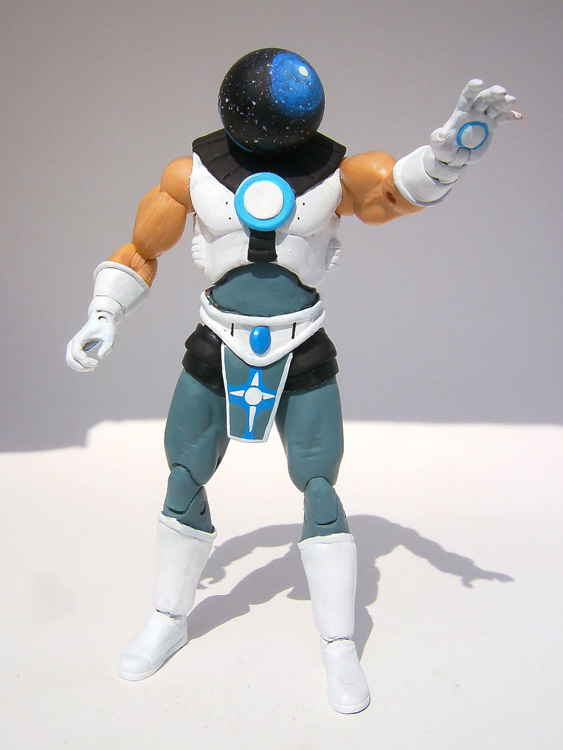 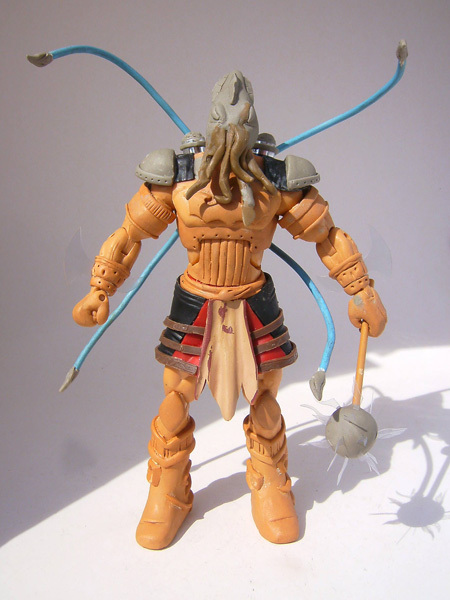 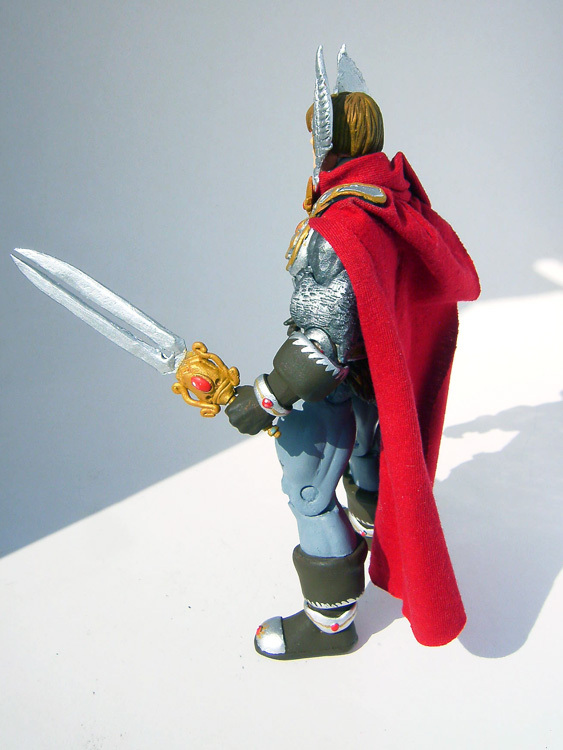 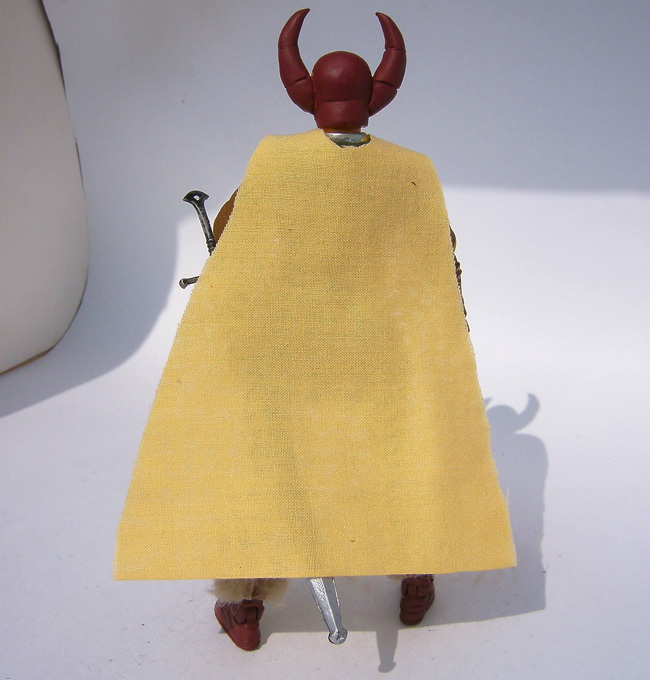 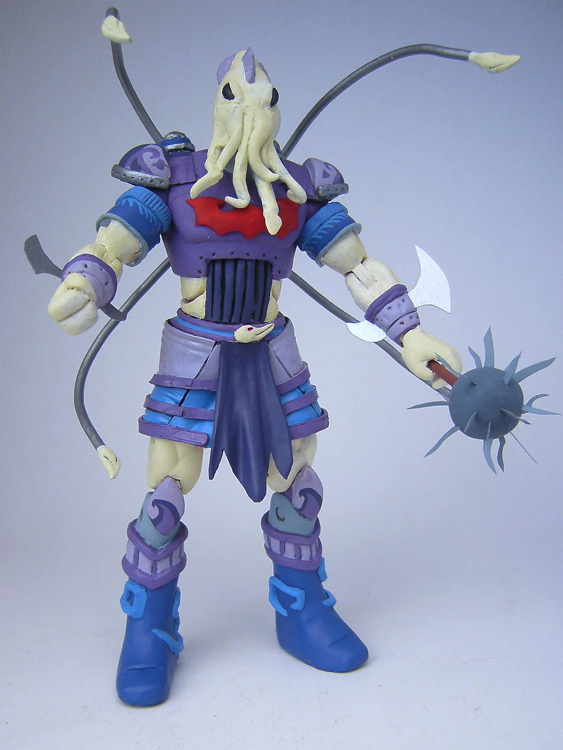 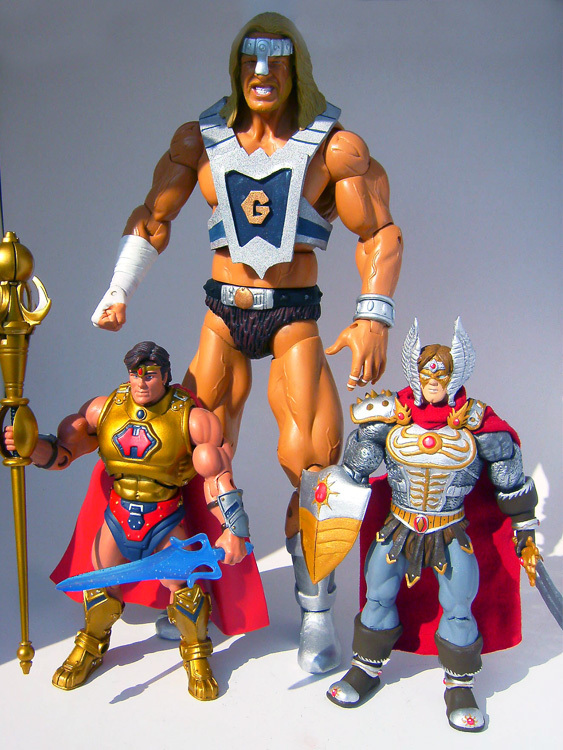 Here is Lodar, the minicomic villain, made in MOTUC style. 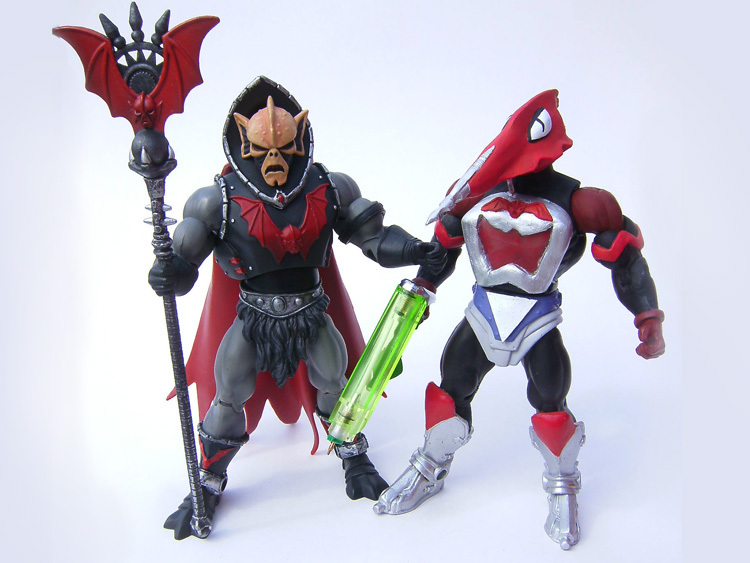 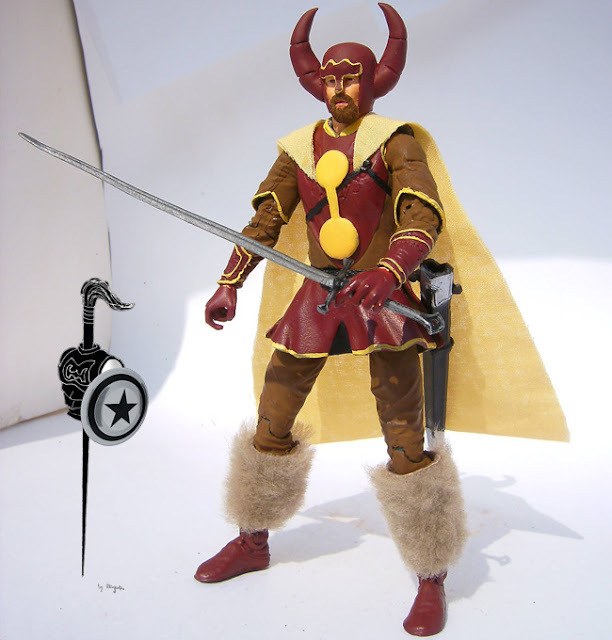 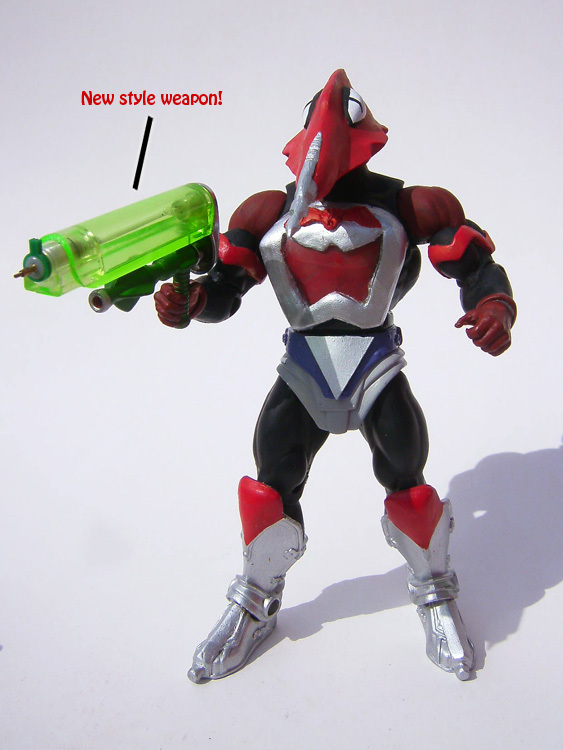 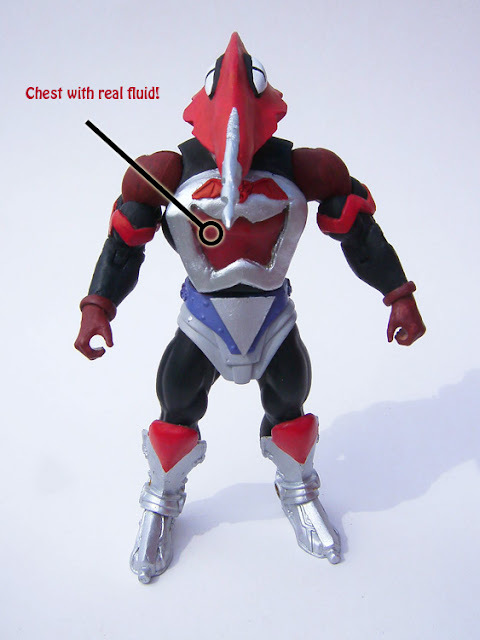 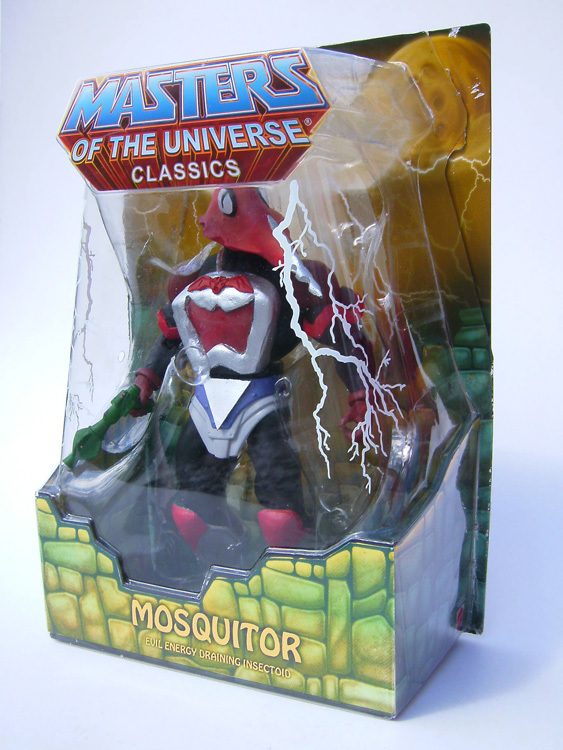 Here is Mosquitor, member of the Evil Horde, with authentic blood in his "heart".